Purpose:Use this document as a reference for entering grades in ctcLink. NOTE: Save entries often as data will be cleared/lost if page times out. On the My Schedule page, verify you are viewing the correct term and institution, if necessary, click Change Term button to change between terms or institutions. 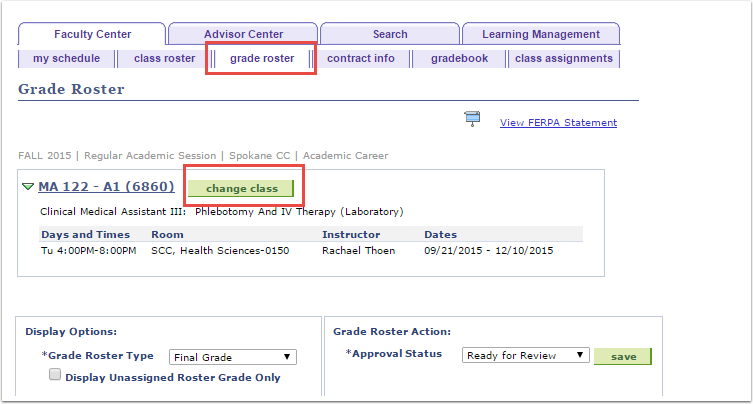 To view the grade roster for an individual course click the Grade Roster icon next to the appropriate class. This will open the Grade Roster tab for the course selected. 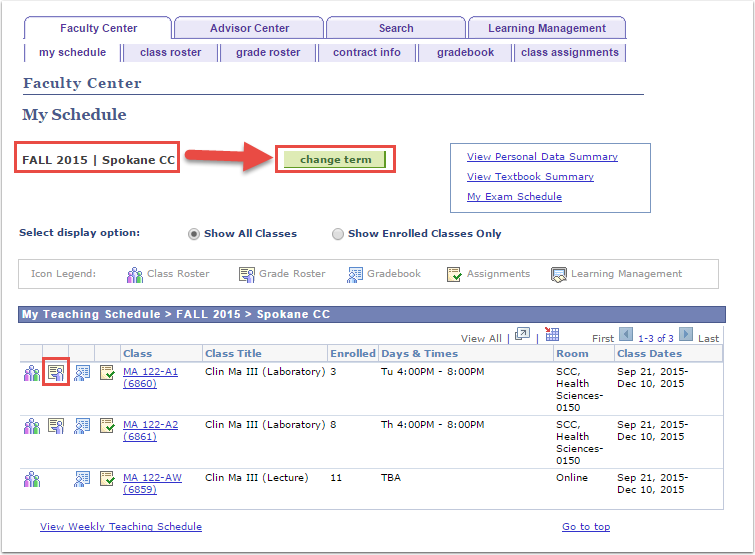 To Change between classes, click the Change Class button, this will return you to the My Schedule tab and you will need to select the Grade Roster icon (step 2 above) for the class you wish to view. Select the appropriate grade from the drop-down box in the Roster Grade column next to each student’s name. After entering all student grades, the Save button. After all grades are entered and saved, review them for accuracy, and change their status to Approved in the Approval Status drop-down box to submit as final grades. 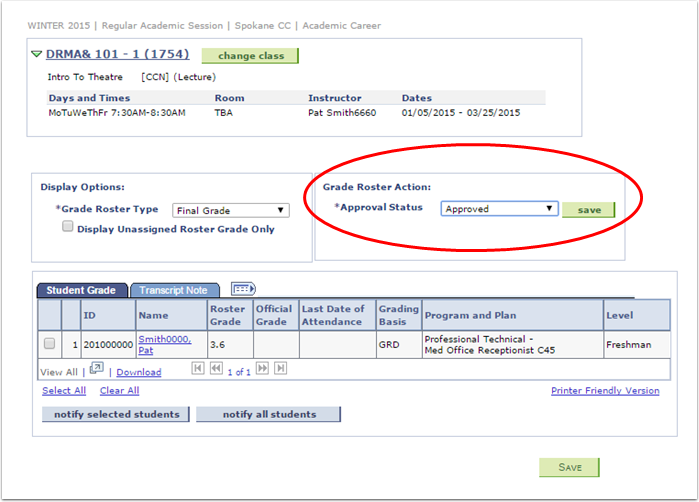 Note: Changing Approval Status before grades are saved will cause all grades to be lost. You must save grades before approving them. Choose the appropriate Approval Status from the drop-down menu and then click the Save button. Once the grades are saved in Approved status, you will need to contact the Records office to make changes.